Imagine going days or even weeks at a time between starts. For Blue Jackets goaltender Joonas Korpisalo, this is a way of life. That’s the life of a backup goaltender. They have to stay ready in the event something happens or when it’s their turn. They may not get that call for weeks. But when coach calls his name, he’s gotta step in and play at a high level. After a tough start to the season in which Korpisalo went 1-3-0, he found himself on the bench for three weeks. The team asked him to play against tough competition mostly on the second half of back-to-backs. Korpisalo started games in Chicago and in St. Louis. He gave up five and four goals in those games. He enjoyed a good start in Winnipeg where he allowed just two goals. Then in his first home start of the season, he played well allowing just two goals, but lost because he got no support. At some point, the Blue Jackets had to turn back to Korpisalo mainly to give Sergei Bobrovsky some off nights. He finally got his chance on Nov 28 against Carolina. The game went to a shootout. 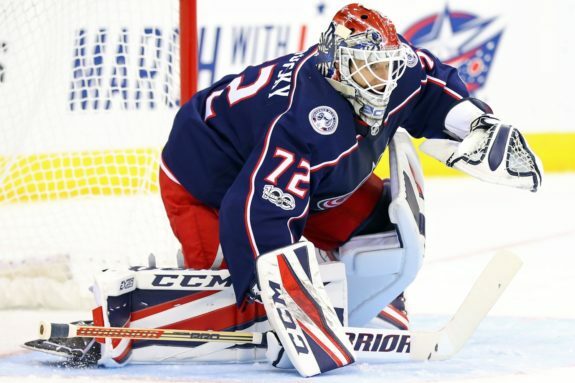 Korpisalo stopped both shooters and helped the Blue Jackets earn an extra point against division-rival Carolina. Just three days later, the team called on him again with another back-to-back on the schedule. Again, Korpisalo answered the call, stopping 25 of 27 Anaheim shots. The Blue Jackets defeated the Ducks 4-2. He did his part. Despite the success, he found himself in his customary place on the bench waiting his next turn. The Blue Jackets started a string of three consecutive division games after the Anaheim game. Bobrovsky played all three games but lost two of them. Was it time for Korpisalo to come in to play the Arizona Coyotes? Nope. Bobrovsky played both ends of the back-to-back. The Blue Jackets defeated the Coyotes 1-0. Perhaps Korpisalo would get a chance against a struggling Edmonton team. That too didn’t come to pass. 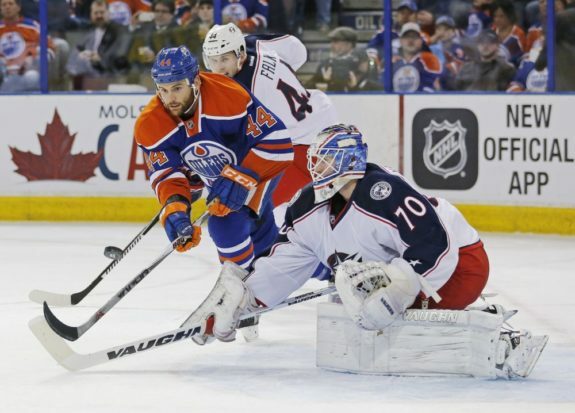 This time, the Oilers dominated and chased Bobrovsky from the game in a 7-2 thrashing. Korpisalo came in to clean up. He finished the game but found the bench again for three more games. Bobrovsky and the Blue Jackets lost 2-1 in Carolina then got throttled 7-2 in Boston. Bobrovsky allowed seven goals in a game for the first time in his career. Surely this was finally the right time to start Korpisalo. With the Maple Leafs in town and a date with the Penguins on Thursday, Tortorella turned to Korpisalo. This was his first start in 19 days. The Blue Jackets desperately needed this game given their recent struggles. How would he respond? Korpisalo stopped 39 of 41 Maple Leafs shots elevating the Blue Jackets to a 4-2 win. With the win, Korpisalo has won his last three starts with a 1.95 GAA and .939 save percentage. For someone called upon here and there, this is really impressive. He’s been a bright spot in an otherwise difficult time. What does this mean moving forward? The team has to at least consider giving him more games especially during the “dog days” of the season in January and February. With a heavy schedule in March and the potential of a dog fight in the Metropolitan division, the Blue Jackets need a healthy Bobrovsky. Playing Korpisalo in more of an even split allows them that opportunity. With Tortorella, it’s a matter of trust. Seeing Korpisalo win his recent starts should help earn the trust of the coach to put him out there more even if it isn’t a back-to-back situation. With the Christmas break coming, the Blue Jackets don’t have any back-to-back games until Jan 7 & 8. By utilizing Korpisalo more, you afford Bobrovsky a potential of three days off between starts. Then when consecutive games come up, you’re not overworking Bobrovsky by starting him in both games. January’s schedule is also relatively tame compared to the rest of the schedule. With games against Colorado, Florida, Buffalo, Vancouver and Arizona in that month, the Blue Jackets can choose to split the games to keep Korpisalo sharp while resting Bobrovsky. Korpisalo has earned his chance. It’s time he gets the crease a little more. It’s up to him to keep up his great play. If he does, his impact goes way beyond the individual games. He allows the reigning Vezina winner to come into games more rested, allowing the Blue Jackets to become even more dangerous later in the season. The Blue Jackets must protect Bobrovsky at all costs. They are an untimely injury away from a bad situation in the net. Korpisalo’s solid play gives the team the option to run either of them out instead of having to lean heavily on Bobrovsky. If the Blue Jackets want to position themselves well for the stretch run, Korpisalo must deliver his best when it’s his turn. This 3-0 stretch at least suggests he has that kind of play in him. Perhaps we’re even seeing why the team made a trade with the Golden Knights to protect him in the expansion draft. Whether his time is today or next month, Korpisalo’s play will dictate how the Blue Jackets finish the season. At least for now, he’s been a breath of fresh air in an otherwise disappointing stretch for the team.